1 from Chattanooga might go...can't help you with a date. Wouldn't know until closer to ride time. So when are we going to put together this ride John? We need to plan a ride somewhere for Nov. I have no idea. Obviously the weekend of the 27, being Thanksgiving, is out of the question. So that leaves us with the 13, next weekend, or the 20. I have never done any of the roads there and would like to go with someone that has. Colin has before but can't this time until after Dec. 6, so if you are familiar with these roads maybe it should be your call. Of course, we could wait until after Dec. 6. That may give us some time to scout the area before a large group goes. I'm up for anything...just let me know. I think that John and I are going to try and go up Sat Nov 20th with some friends and scout it out for you guys. Anybody on here is welcome to join us. Went with "Farris & friends" to Amicalola/Nimblewill Gap/FS 28-2 last Sunday to scout it out for a potential LOSTGA run this winter. 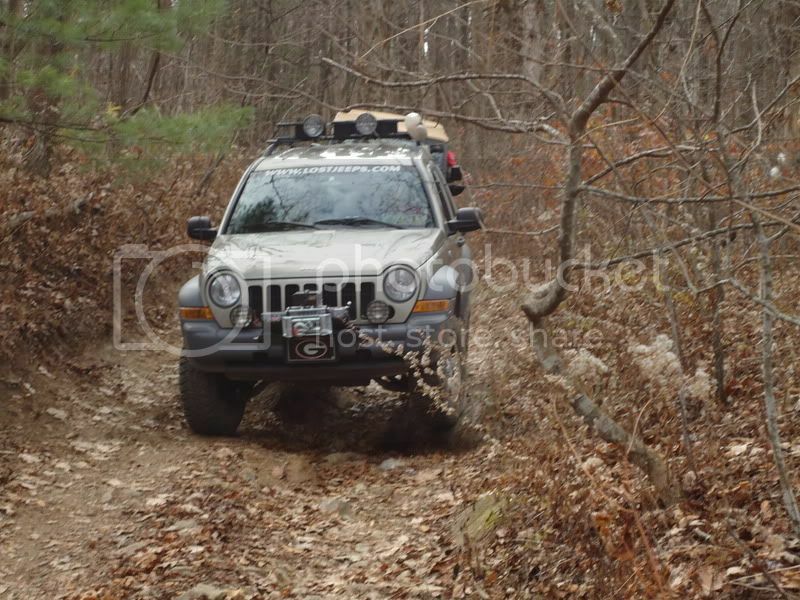 It was an easy run, bumpy but easily done in 2wd. 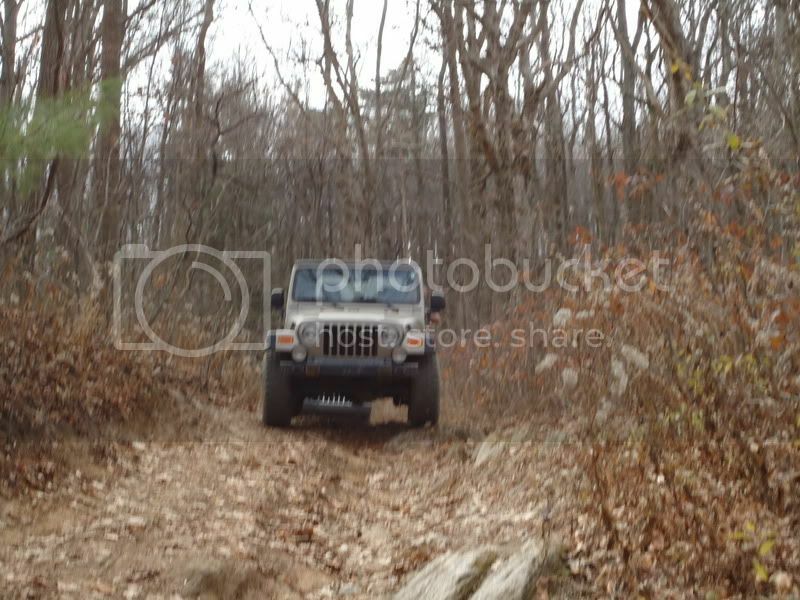 The Jeep trail of off Nimblewill Gap, where the approach trail to Springer Mtn. crosses, leads up to Frosty Mtn. 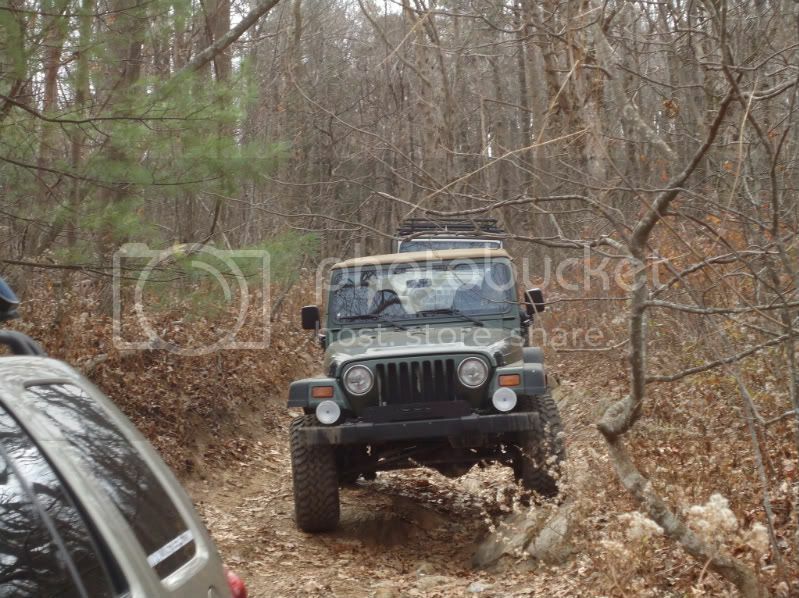 over a few rocks, but big tires with good tread could do it in 2wd...I think. 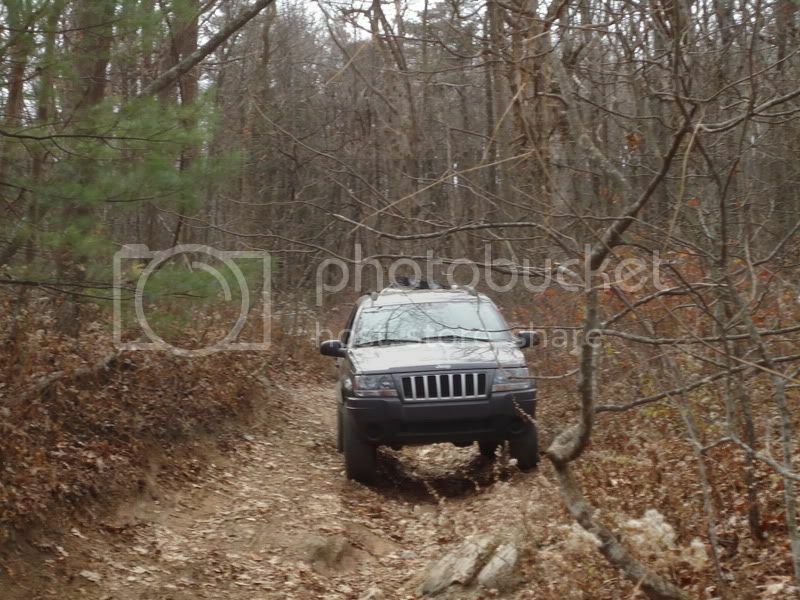 Marco's Cherokee was in 2wd (show off) and could have made it except for the slick street tires he was wheelin'. 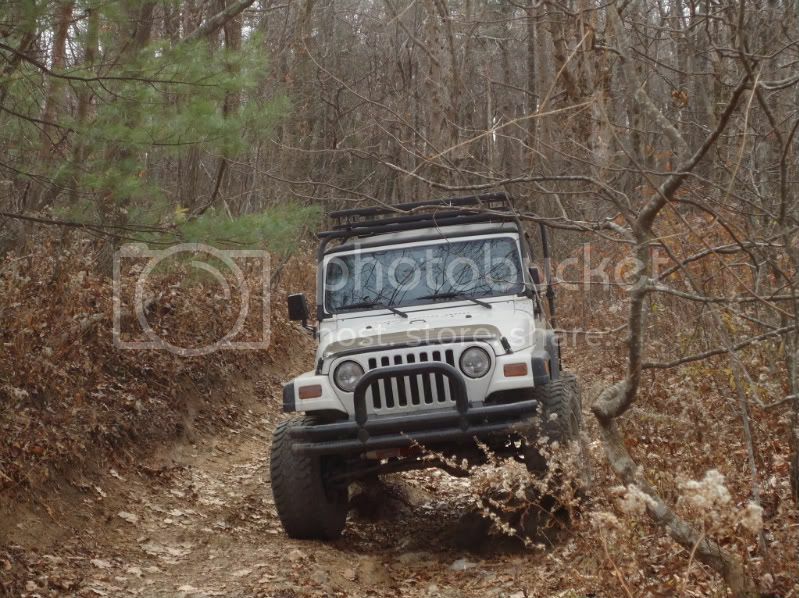 Once in 4wd he had no problem. There was a nice water feature that only Jason crossed because no one else wanted to get muddy (me) or didn't know how deep it was. Along the FS rd. were some nice primitive campsites on the creek that people were using and where Nimblewill Gap Rd. approaches Amicalola Falls Rd. 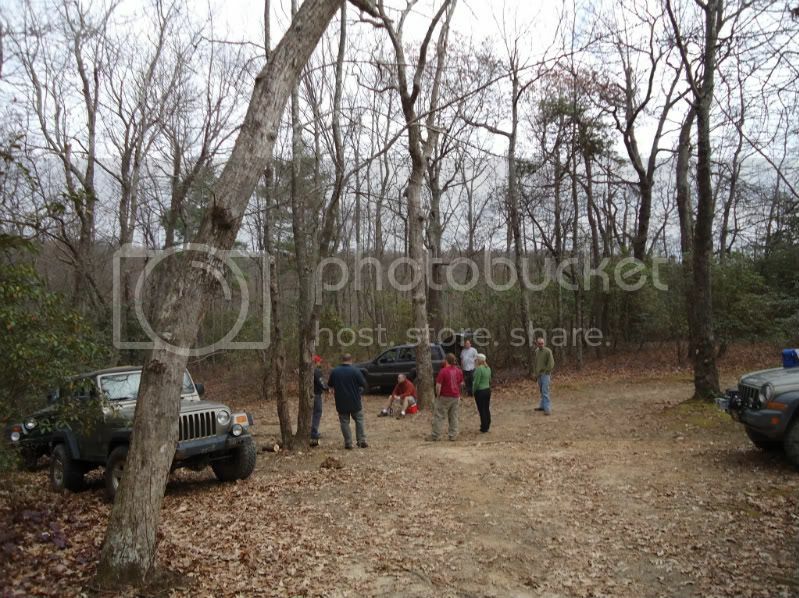 is a large open campsite that would accomodate a family pic-nic. Nimblewill Gap is about half way between the start of FS 28-2 at Nimblewill Ch. Rd. and the end of Nimblewill Gap Rd. at Tickanetley Rd. and could possibly accomodate a family pic-nic. I want to go back soon to continue scouting it out as there are more roads on the map that we couldn't get to this time. sitting on top of Frosty Mtn., elev. 3382. Just the lookout tower concrete piers a left. 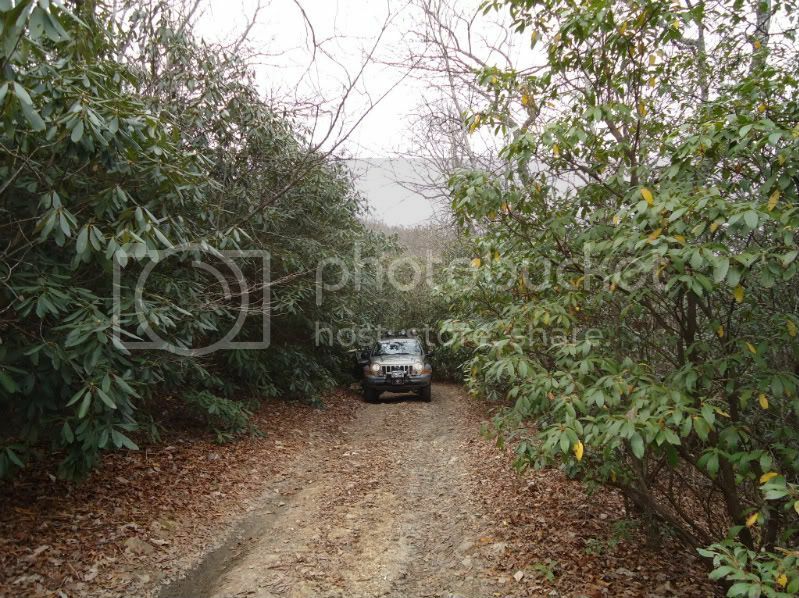 coming out of a rododendron 'tunnel' just before Amicalola Falls Rd. (left to right) Jason, Rod, Stephen, Scott, Marco, Lauren, Reid. It was a good time with good people. "Farris & friends" are talking about a snow run. We'll keep ya'll posted. Looks like a nice day out, John, and a good location for a winter run. Not too scary should the white stuff cover the obstacles. No problem, Dan. I completely understand. When we had our first my father-in-law told me to get ready to get in the back seat....boy was he right! Take care of your family...and congratulations on a healthy baby. I'm hoping the oldest (2 1/2) will be up to the winter run. 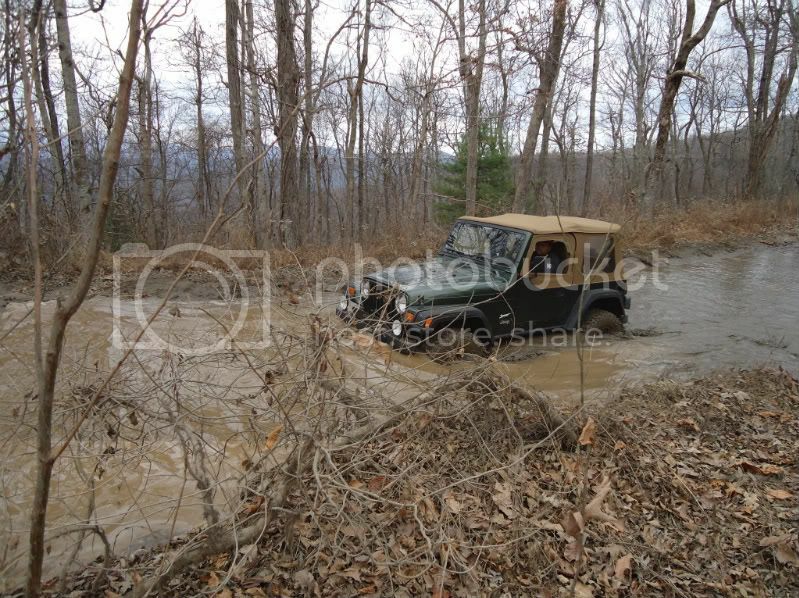 He loves driving in the jeep, so it would be a great day trip for him. sounds good. will keep you posted. 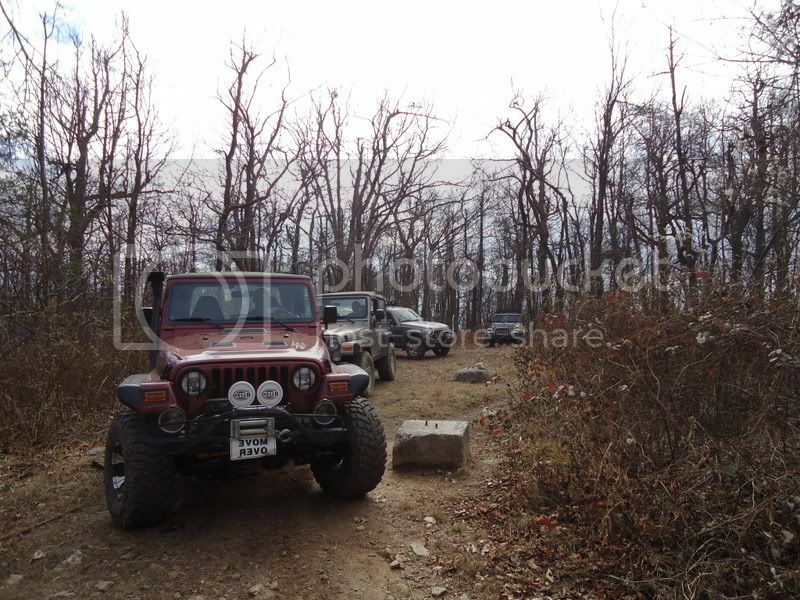 Alright people we are going back up to Amicalola this Sat for a "After snow winter run." We are leaving Athens @7am and meeting at the old Wal-mart parking lot(hwy211) in Winder @8am. We can also meet anyone else in Dahlonaga before we get downtown. We are going up hwy60 and we will stop again for gas at the top of the hill(whatever gas station is on the right) before we turn left onto hwy52. This is the main gas station right before the McDonalds on the left. We probably won't be there until 9:30-10am. There should be 4-6" of snow left in backwoods areas. Hope you can make it. Well, I don't know about anybody else, but I'll be there, Stephen!!!! Thanks for arranging this!!! Scott and I will be there after driving through MacDonalds for a biscuit. I'm going to try to swing this (with my 2-year old) but need to figure out logistics before my better half will agree. What time would y'all be hitting G-town? My path up GA400 is a LOT faster than swinging over to the Winder or Gainsville areas (also, Gwinnett drivers scare me...). The station on 19/60 right near the hospital and McD's has both Diesel and Petrol (do I sounds like a Brit). That sounds like the place mentioned above, but I'm not sure if there's more than one McD's in town. Take 400N. to Hwy 19 to 891 S. Chestatee Dr., Dahlonega, GA. That's the Shell station in the curve at the top of the hill that we stop at to top off fuel, get groceries and beer, etc. Mapquest says if we take Hwy 211 from Winder it will take us 1 hr.- 13 min. to get there. If we leave Winder at 8:30 a.m. we should be at that Shell a little after 9:30 a.m. Hope we see you there. I'm going to try to swing this (with my 2-year old) but need to figure out logistics before my better half will agree. Nevermind... I really ought to clear this stuff with the scheduling department before I say anything. Not fair to take the 2 year old in the jeep all day after being couped up all week from the snow and not fair to leave him at home ... for the same reason. Some day soon I'll use 4x4 for something other than pulling Bimmers up frozen interstate exits. Have a good ride y'all.